Every few months, Gender Across Borders hosts a series on a specific topic encompassing global feminism. We encourage feminist writers to contribute to our series. If you have questions about our series in general or have ideas for topics for a future series, please email info@genderacrossborders.com. Global feminism is very important to the GAB editorial board–so important, that it’s Gender Across Borders’ tag line. 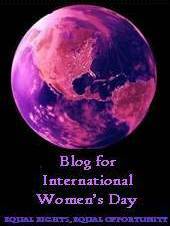 But what makes this a global feminist blog, and more importantly, what is global feminism? We grapple with this definition every day at Gender Across Borders. And we know that you, as readers, try to understand this definition as you read and comment on our articles. Starting Wednesday, June 30, 2010, you’re going to hear from all of the editors at Gender Across Borders as to what global feminism personally means to them–and as you read, think about how different and vast this concept is. These mini-posts, which will be posted at 1pm CST on Wednesdays, Thursdays, and Fridays from June 30-July 19, 2010, simply state each editors’ idea of what global feminism means. This will also give you a chance, as a reader in the GAB community, to discuss and comment on the concept yourselves. At the end of the series, we’re going to give you another opportunity to discuss global feminism with the entire GAB editorial board in a live chat on-line. We have re-scheduled the chat for Thursday, August 5 at 8pm CST. We invite everyone in the Gender Across Borders community to join. Click here for more info and to invite friends/family who you think would be interested. Feel free to comment on our posts as to what YOU think global feminism is! Click here for the global feminism series archives. For inspiration, check out the conversation on recent GAB posts about feminism, blogging and race in the feminist blogosphere. Note: This series is not accepting submissions, but asking for readers to participate in the comments section of each post to discuss global feminism, in addition to participating in the live chat with the GAB editorial board. Thanks!